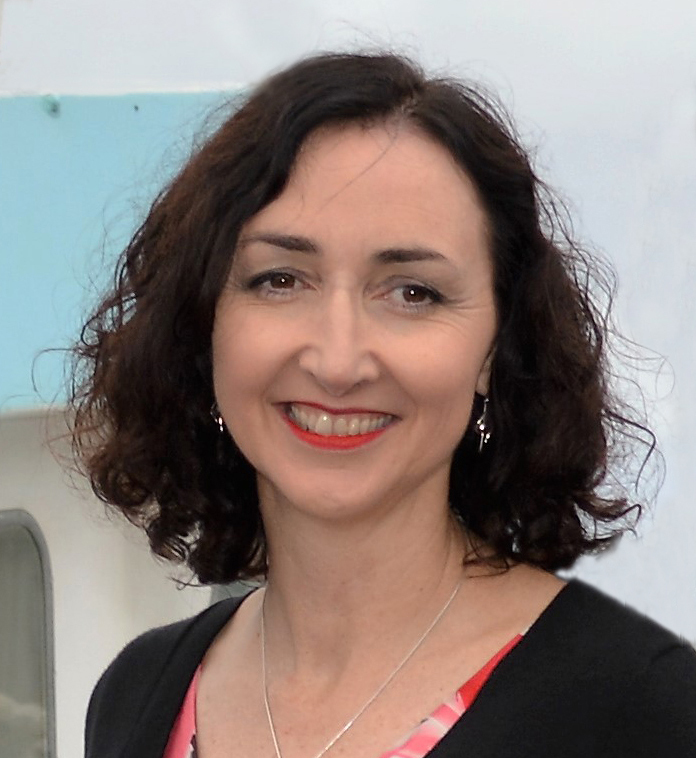 Sweet Havana – publication share. Today I have a quick share, I was so happy to have these two cards published with the Australian Cardmaking, Stamping & Papercraft magazine, they were a really fun to stamp (and one even made the cover). Thanks so much for your visit, I’ll be back on Saturday with another video, can’t wait to see you again then! Other Supplies: Prismacolor Pencils – White, Black,Warm Grey 20%, Cool Grey 70%, Pink, Process Red, Magenta, Goldenrod, Yellow Ochre, Yellowed Orange, Limepeel, Olive Green, Parma Violet, Violet.Dark, Purple. 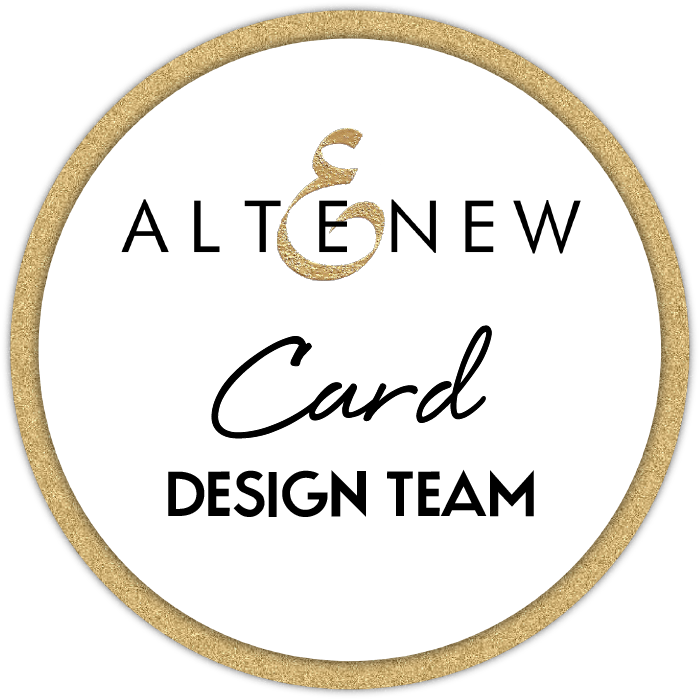 < Previous Video : Altenew March Challenge….. All ‘Abroad’! Next > Video : who remembers Flocking? Congratulations Therese, such beautiful cas I can understand them choosing them. Front cover wahooooo thats brilliant. That was meant to be cards not cas. On the ipad and hit send before I saw my error. Therese, your work is always so beautiful. You are always so inspirational. Shut the front door!!! Oh, my goodness, these are stunning, Therese! What lovely cards! They deserve to be published! A cover girl? OH I am NOT one bit surprised, Therese! This is so beautiful! LOve your ‘shiny’ vase/pitcher! 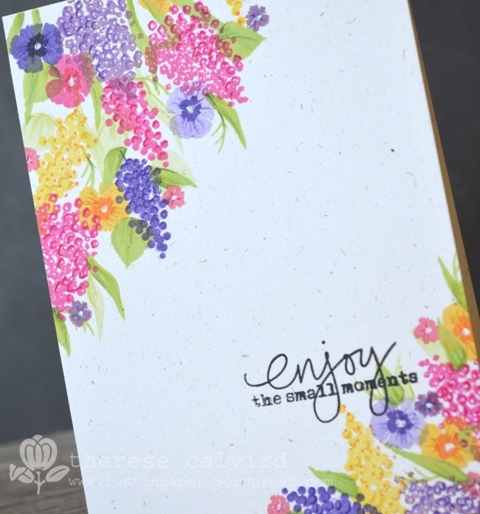 Congratulation, Therese, these cards are beautiful…I can SEE why you were published. Beautiful colors. Hi Therese!!! And congratulations on your publication! This is absolutely stunning! Love everything about it! Hey Cover Girl! 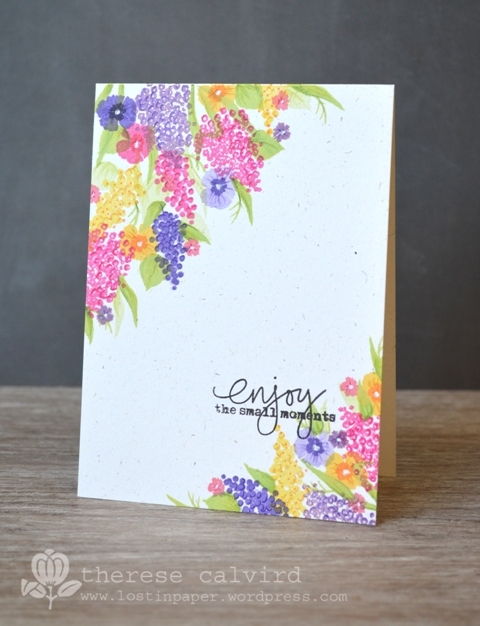 Gorgeous cards – the colours are delicious! 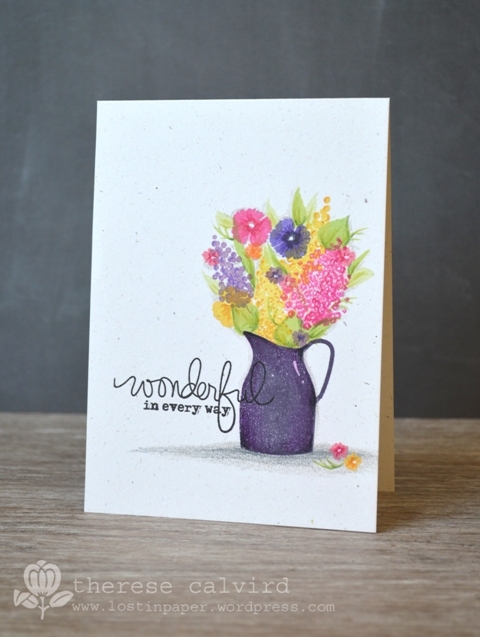 Beautiful bouquets, Therese, and I love the way you’ve painted the pitcher. Two very lovely cards! 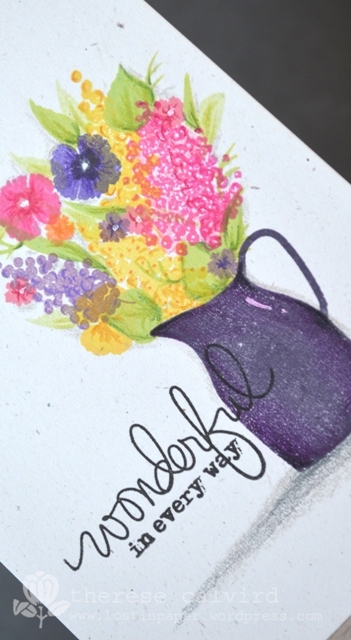 I can certainly understand why your cards were chosen – especially for the cover! Thank you for your faithfulness in sharing your gifts and talents with all of us. You are a blessing to the papercrafting community!